I already posted these on the FB page, but thought I’d share them here as well. 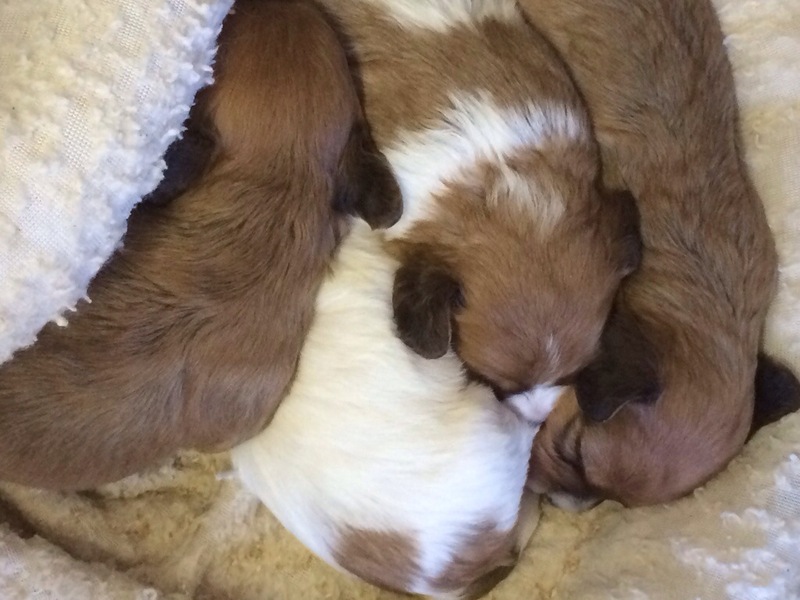 Jesse’s litter. 2 sable/white girls, 2 sable/white boys. 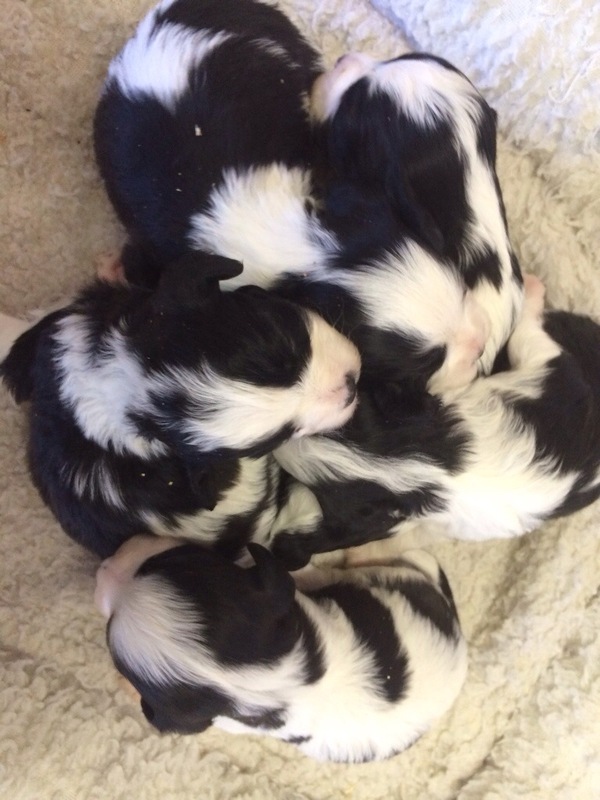 Sadie’s black/white pups. 2 girls, 3 boys. These 2 litters did not get their dew claws removed because my husband and I were both gone when they were born. It’s not a problem at all, but I’m just letting people know who might be interested in that detail. These puppies will be ready to go home the second week of October for 8 weeks old and the second week of November for Phase 1 Accelerated. If you’re on our waiting list, I want to hear from you, whether you’d like more info on these litters, or if you want to wait for a different litter. This is just an initial assessment. Obviously there will be more photos coming, but some will know this early that colors, gender, or timing will definitely not work with these babies. I’m mostly interested in knowing who definitely wants to pass. Please contact me via email either way so I know how to plan. Thanks so much! I’m not on your waiting list but am wondering how much puppies are? We are looking for a female.